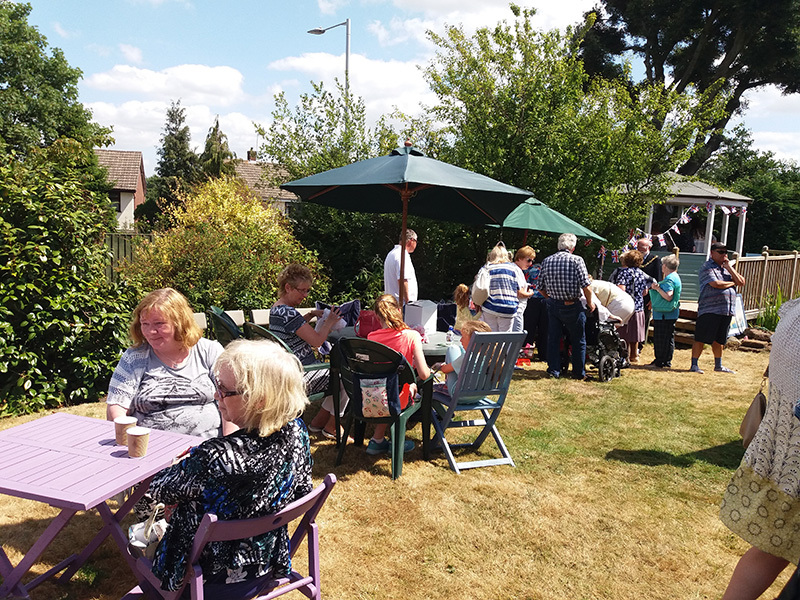 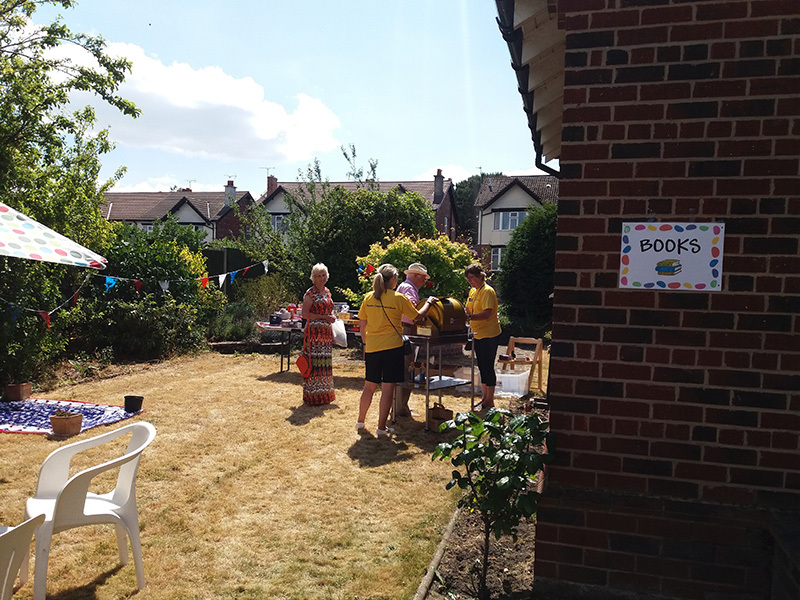 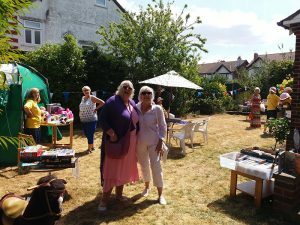 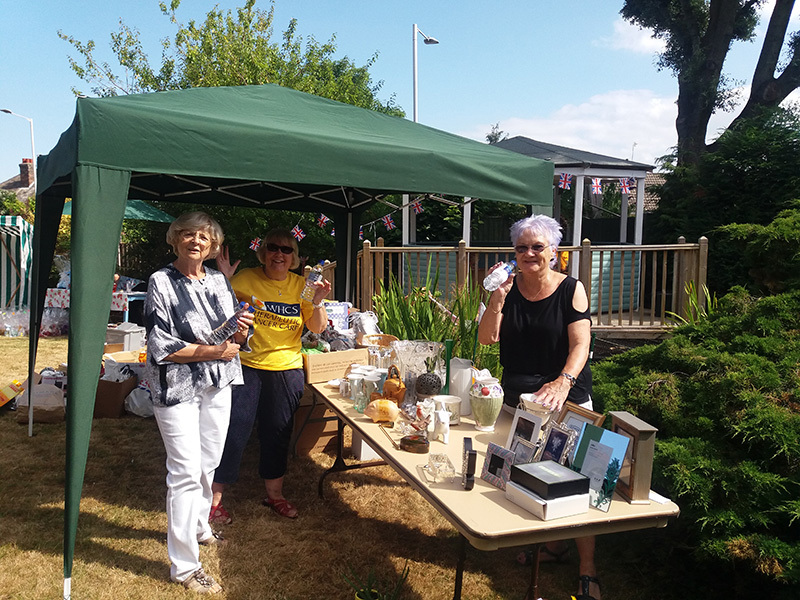 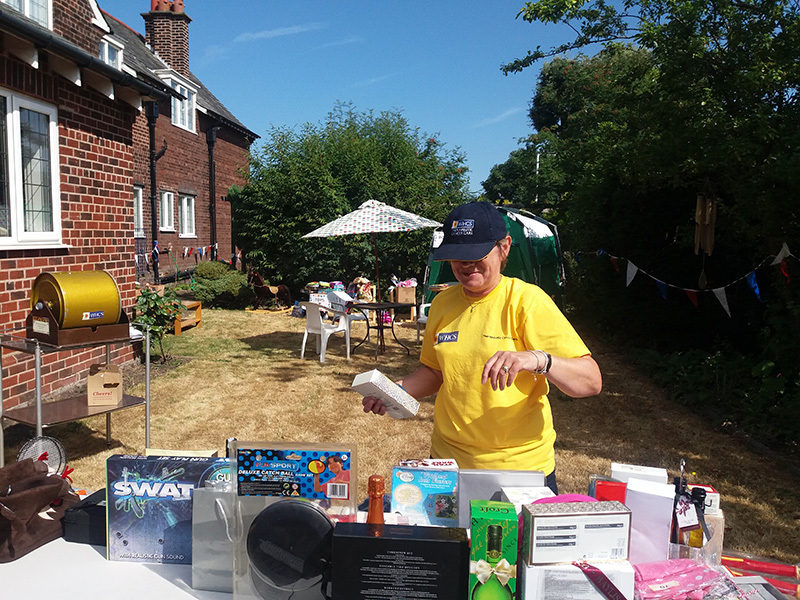 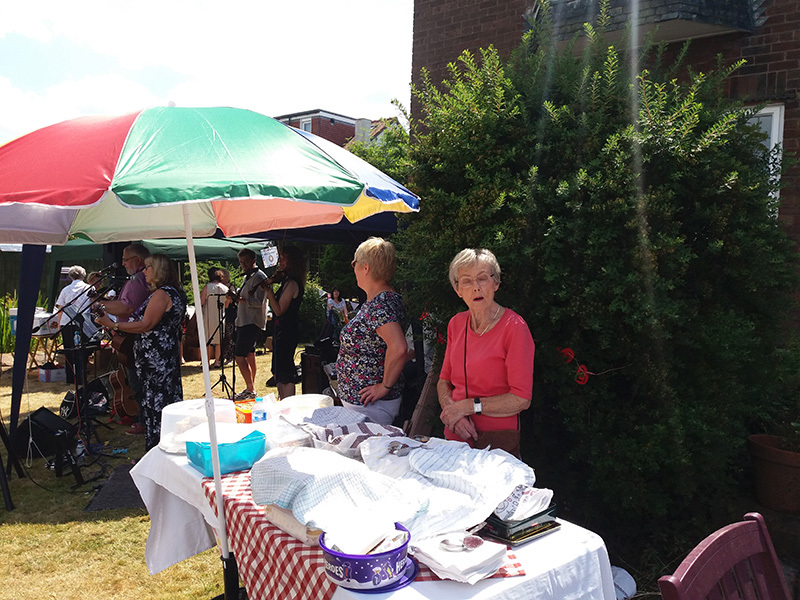 The day was an absolute success for our Summer Fair and the weather was amazing. 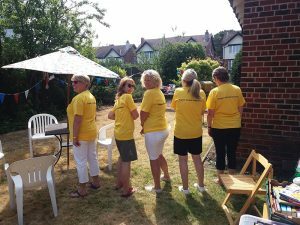 The team worked so hard and we’d like to give them a big thank you for their help on the day and all the planning that went with it. 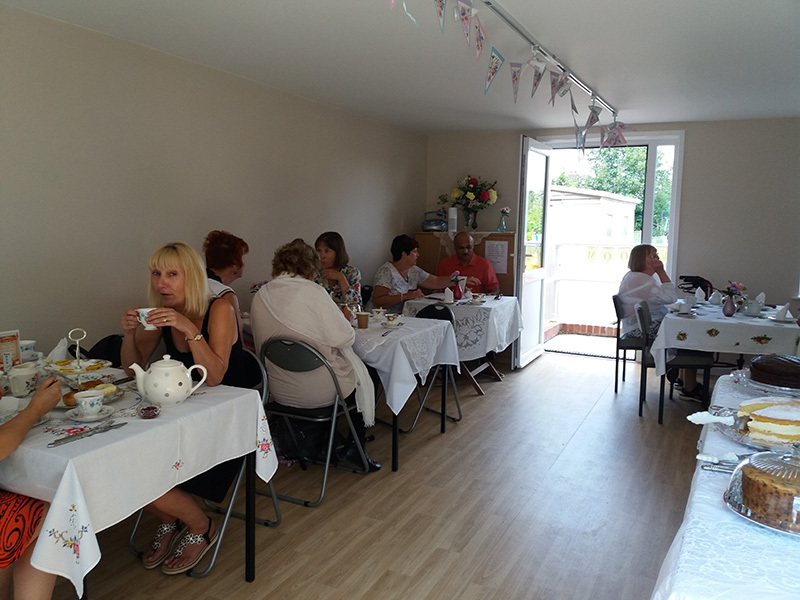 The Mayor Geoff Watt joined Dorothy and Yvette (trustees) for a wonderful Victorian afternoon tea in our “new ” Tea room. A special thanks goes out to Pat Wheeler for her wonderful homemade cakes, Geoff and Simon the “Sandwich Man” from Wallasey for their kind donation of all the butties for the afternoon tea, they were delicious as ever! 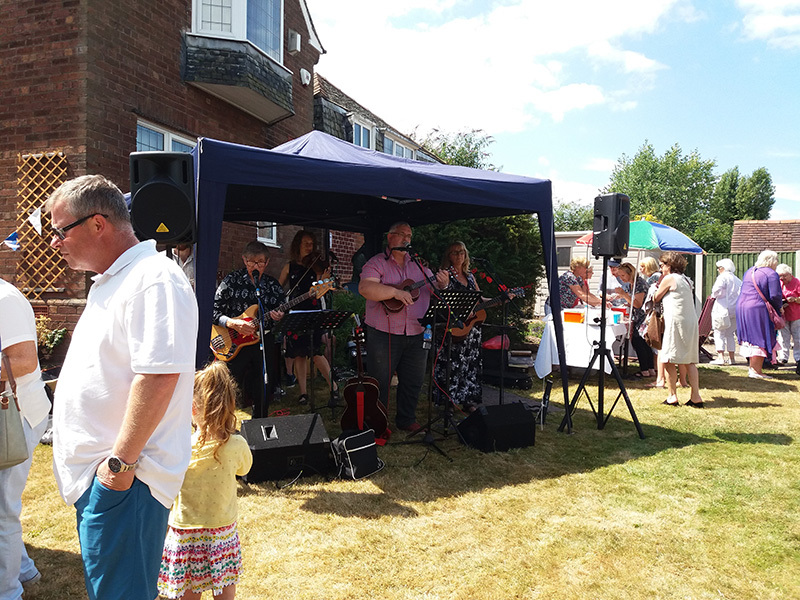 Entertainment for the event was provided by “The Remnants” a six piece band playing a mix of country, folk and rock. 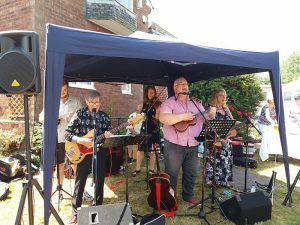 They were great and really set the scene for fun and dancing. 2 year old Layla one of the staff’ s great granddaughter stole the show with her dance routine! 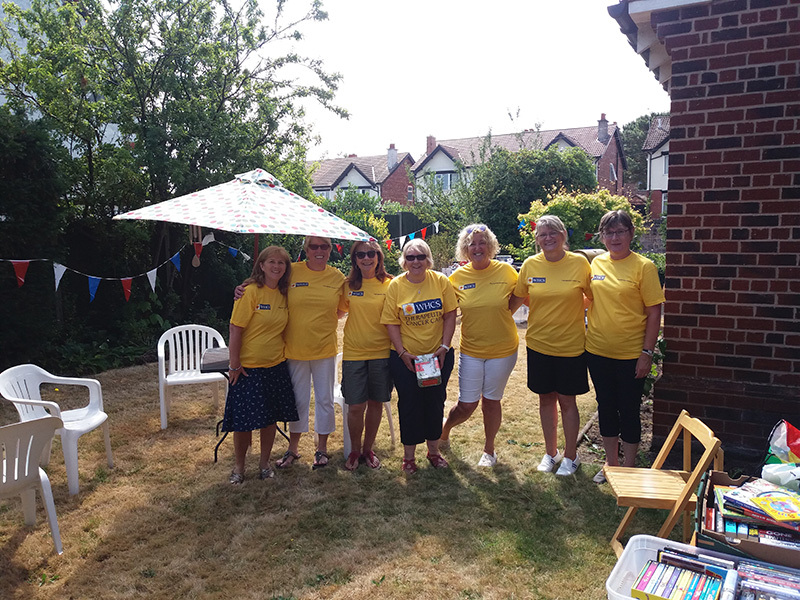 A really big thank you to the whole team of volunteers both from the centre and the shop, what an amazing, kind hearted, hard working bunch they all are, as ever we could not do these fab events without them all. So thank you to them all! Staff and therapists were also sporting their new T-shirts for this year with our sponsors logo “Bogans Carpets Superstore” on the back, see pictures below. A big thank you to Peter Burrows for his very kind sponsorship, the advertising will go on and on now with all that the team do in the future. 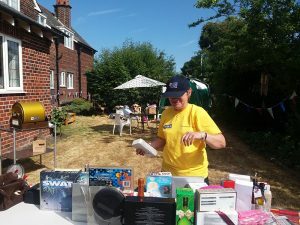 On the day we raised over £1100+ and still counting!! 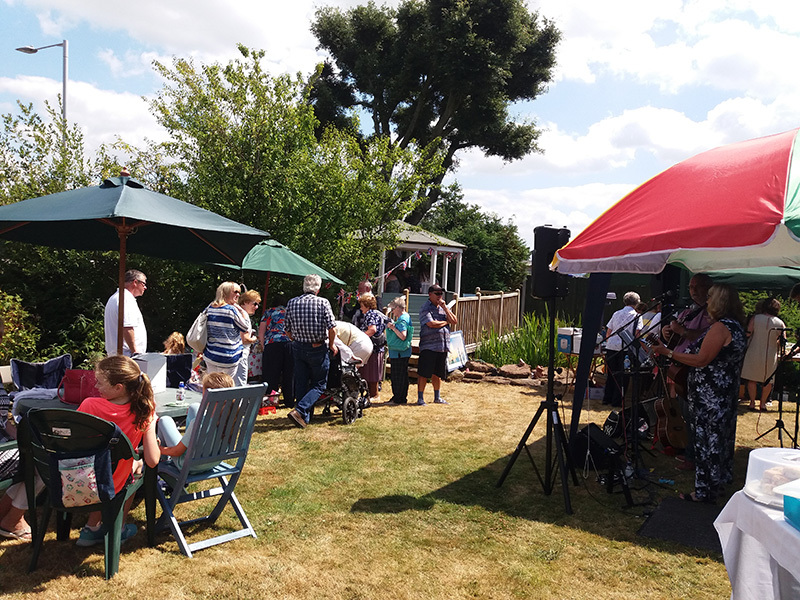 Finally the biggest Thank you goes to all our wonderful supporters, families and friends who once again turned out to make this yet another success. If there are any suggestions for fundraising events/ideas please pass them along via either Facebook, our website or call the centre or shop.